Hurricane Arthur caused damage on the Outer Banks in July. Historically, today marks the peak in the Atlantic hurricane season. There have been four named storms so far and three of those were hurricanes. Hurricane Arthur caused damage to eastern North Carolina when it came ashore along the Outer Banks in July. Richard Bandy is a meteorologist for the National Weather Service in Newport. He said forecasts for a below normal season are proving accurate. Bandy says the number of named storms could double over the next few weeks. He said it's important to maintain a disaster preparedness kit throughout the year. Governor Pat McCrory says the North Carolina coast took less damage than expected from Hurricane Arthur. The storm moved north between the Outer Banks and the mainland as a Category 2 hurricane. Emergency management officials are reporting downed trees and widespread power outages in their damage assessments this morning, but no injuries have been reported. The governor encouraged vacationers who might have canceled trips to the coast to renew their plans. The path that Hurricane Arthur took last week hit an area of the state where a lot of corn is grown. And several farmers will be affected. State Agriculture Commissioner Steve Troxler and staff traveled by Forest Service plane to see the crop damage first hand. Ag spokesman Brian Long says a lot of the damage was in Hyde County, known for growing corn. 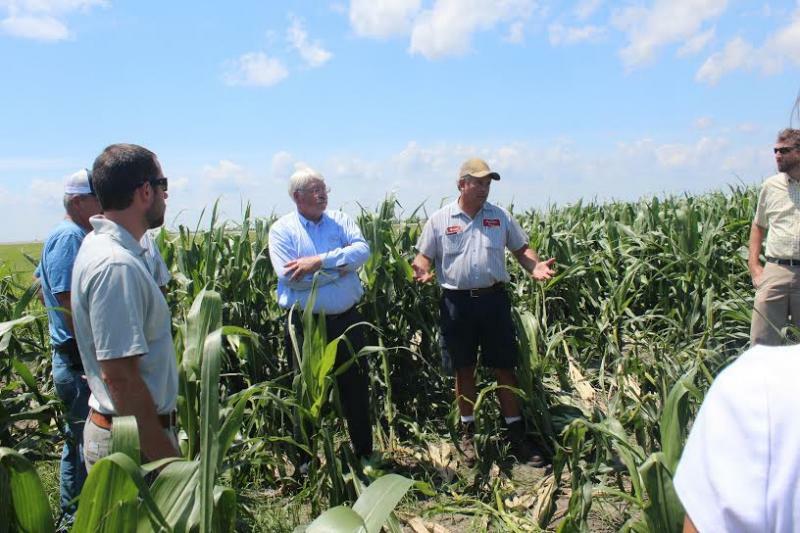 “There are parts of Hyde County where you can just look and you would almost think you were somewhere in the Midwest, because it’s just is corn, and corn, and corn," said Long.